Two years ago, I lost 25 pounds and for the first time in my life, I’ve kept it off. However, my real celebration isn’t over the smaller clothing size and reduced numbers on the scale. My real celebration is over the spiritual insights I gained while losing the weight and maintaining my healthy progress. For me, this has been a spiritual journey—a significant spiritual journey with great physical benefits. I had been overweight physically and underweight spiritually and finally tying those two things together was life-changing. One of the richest lessons has been realizing the amount of mental and spiritual energy I wasted for years just wishing things would change. All the while, I was beating myself up for not having the discipline for making those changes. If you have an issue with weight and food, you know what I mean. But no matter what issue you are currently dealing with, can I offer a bit of encouragement? Jesus wants to help you with that issue. He really does. But you’ve got to stop beating yourself up about it and determine to follow His lead. We compare, we assume, we assess, we measure and most times walk away shaking our head at how woefully short our “me” falls compared to everyone else. How dangerous it is to hold up the intimate knowledge of our imperfections against the outside packaging of others. If there is one thing that living 40-plus years has taught me it’s this… all God’s girls have issues. Every single one of us. Having issues isn’t the absence of victory in our lives. It’s simply a call to action reminding us victory is right around the corner. I can make the choice to identify my shortcomings and instead of using them against myself, hand them over to Jesus and let Him chisel my rough places. The grace-filled way Jesus chisels is so vastly different than the way I mentally beat myself up. My mental scripts can so often be full of exaggerated lies that defeat. His chiseling is full of truth that sets me free. I can helps me walk into the dinner party and find the conversation more appealing than the food table. I can helps me stay on the perimeter of the grocery store where the fresher, healthier selections abound and smile that I know this. I can helps me reach for my water bottle and find satisfaction in its refreshment. I can helps me look at the drive-thru menu and order a fruit tray without even giving a thought to the fried foods I used to snack on. I can reminds me to look up a restaurant’s nutritional information on the internet before going out, insuring wiser choices. I can reminds me no food will ever taste as sweet as victory does. Dear Lord, help me to see myself the way You see me. Please help me to remove the lies that defeat me more often than I want to acknowledge. You have set me free. Help me to live like I truly believe that. In Jesus’ Name, Amen. A great step to encourage you on this journey is participating in the FREE webcast Lysa is offering every Monday night January 10 - February 14. For more information, click here. every purchase you make with us. Thank you! When you purchase resources through Proverbs 31 Ministries, you support the many areas of hope-giving ministry we provide at no cost. We are extremely grateful for each and every purchase you make with us. Thank you! Identify your shortcomings. Instead of using them against yourself, take some time today in the quietness of your mind to hand them over to Jesus and let Him begin to chisel your rough places. © 2011 by Lysa TerKeurst. All rights reserved.  Get Proverbs 31 inspiration in your mailbox daily! Mother. Sister. Aunt. Bestie. Grandma. Encourage the women in your life this Mother’s Day and remind them how much they’re loved with gifts hand-picked just for them.